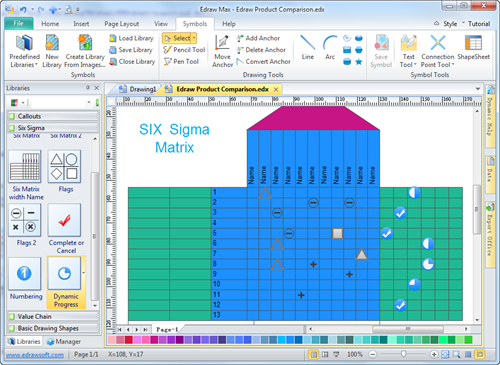 With Edraw Six Sigma Matrix tools, it's easy to create a house of quality diagram, prioritization matrix, involvement matrix and feature comparison chart. What Is Six Sigma Matrix? Six sigma matrix compares two or more groups of ideas, determine relationships among the elements, and make decisions by various individuals or measurements. It helps prioritize tasks or issues in ways that aid decision making; identify the connecting points between large groups of characteristics, functions, and tasks; or show the ranking or priority of in an interaction. Check out Ultimate Six Sigma Matrix Tutorial for more information. Six sigma matrix helps you in narrowing down the activities or projects by identifying a beneficial order of getting the most important things done first. It works on assignments and projects whose relative importance is not yet known. It is used in situations where you have access to limited resources like money, time, and people (employees). 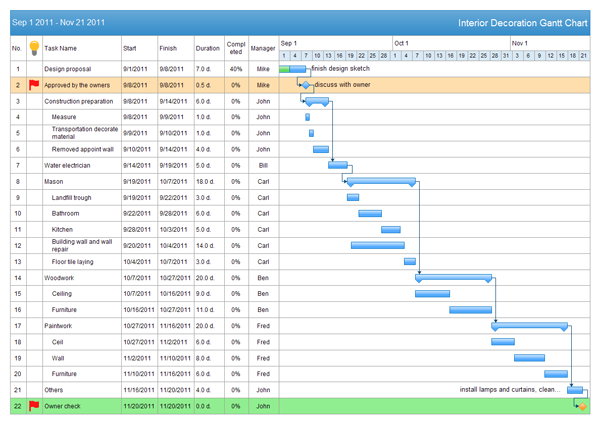 With Edraw's Six Sigma Matrix tools, it's easy to create house of quality diagram, prioritization matrix, involvement matrix and feature comparison chart. The Six Sigma diagrams are used in lots of corporations to help eliminate defects in processes. 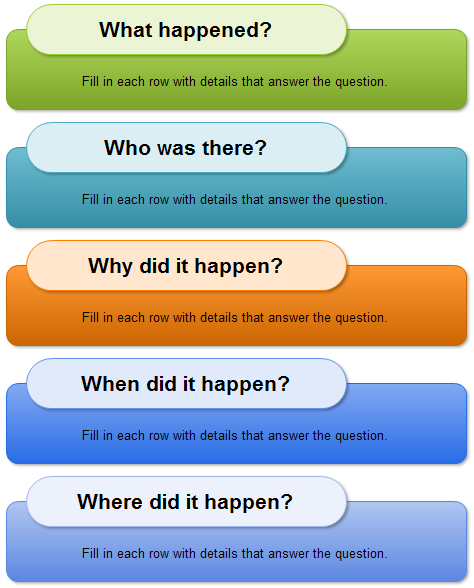 The following templates can be reused in the Edraw software. They are grouped in topical sets as Matrix Diagram templates. Discover why Edraw Software is the best choice to start the six sigma analysis. Try Edraw Max FREE.